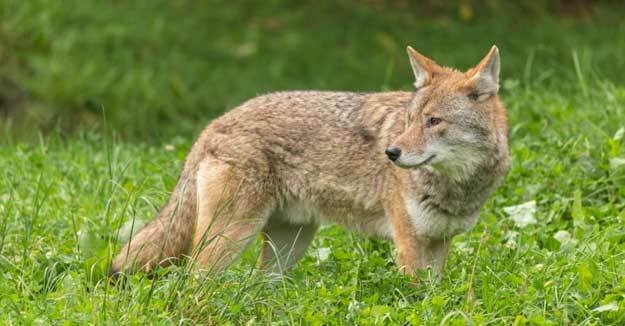 You would be hard pressed to find someone who doesn’t agree with the fact that; “Coyotes are plentiful and their numbers are increasing almost everywhere throughout our country.” Their population boom east of the Mississippi during the past 40 years is especially impressive. Other predator numbers are also up throughout most of the country. No one likes the idea of coyotes managing their wildlife for them. Luckily there are a few things we can do to increase fawn survival rates and boost overall game species populations in general. Stalking slow, tracking, posting over a carcass/bait, the use of dogs or drives may all produce at certain times, but calling is by far the most popular and effective method of hunting coyotes, bobcats and fox. Either with an electronic caller, a blown into call or by mouth, howling or imitating an animal in distress is a proven method no matter where you reside. They have uncanny eyesight, hearing and smell so certain steps must be taken if you wish to get close. Their eyesight is the easiest of the three to fool. A rabbit decoy or simply a piece of fur with a large feather left to blow in the wind keeps the attention off of you and on the decoy. Keep your scent to a minimum; Scent Killer is a needed tool. You may also use coyote or fox urine as a confidence builder. For the most part, hunters, whether they’re shooting, using dogs, calling or hunting at night, just can’t remove enough to make a difference in overall predator numbers. One of the most effective ways to reduce varmints from a property is through an intense trapping program. Sure, hunting them is a very fun pastime, but trapping yields far more significant results than hunting. Check your local regulations to make sure certain traps are legal, but effective set-ups can be made with leg-hold, conibear (kill-traps), snares or even live-traps. For a beginner, snares are probably the easiest way to get that first pelt under your belt, but with a little internet instruction and trial and error, you can yield results with any of the above. If there was ever a case for managing towards an even buck to doe ratio this may be as important as any of them. Land that is managed for an even ratio of one buck to one doe has a fawn drop that will happen all within about a two week period. This means all the fawns are born at almost the same time making it much more difficult for predators to negatively affect the recruitment rate for that property. When buck to doe ratios are skewed more on the side of too many does, not all does are bred during the peak of breeding and the fawn drop is much more spread out. Predators, like coyotes, have a much better chance of negatively impacting your overall fawn survival numbers in this case. Planting bedding and escape cover is equally important. Depending upon your location, this could be as simple as hinge-cutting trees or planting sturdy grass cover. Just remember a healthy herd, with a healthy habitat is one that can withstand predators better. For a couple of months after I was conscious, I couldn’t believe I’d never walk again. After 3 months in the hospital, I was allowed to go back home, where I continued physical therapy and occupational therapy for about another 6 months. I assumed my hunting career was over. 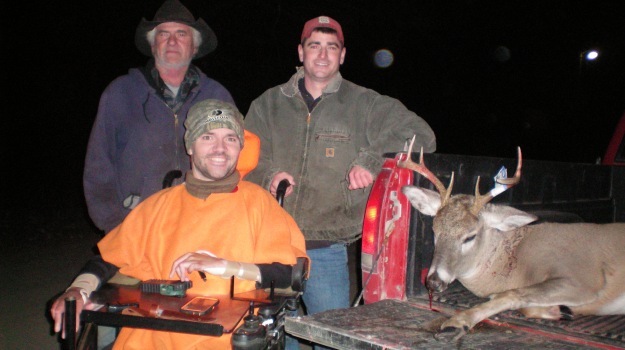 But then when I was 18, I learned that there was an organization in North Dakota that took hunters with disabilities bowhunting.